This coming Wednesday (June 16th) marks 4 years of Aenea being online! To celebrate, I'll be uploading a new updates hak that day. And starting off a minor plotline. And opening a new little area tucked away in the orcish Empire of Blood (K'Nort Scrar). And hopefully getting a couple minutes of DMing time (this one isn't the most likely, with swim lessons for the older kids and watching the twins and making dinner and putting kids to bed...). You guys and gals have made the last 4 years a blast! Thanks! Huzzah to Aenea, and , and 4 years of wonderful adventures! And hopefully many, many more to come! Hooray! and thank you for this great world I get to tinker around in. Yes, yes, the world is truly awesome! Nothing compares to it, Dragon! We thank you ever so muchly for allowing us to roam about your server and raise all sorts of hell! So no merchants or festivals to mark the occasion? I was looking forward to a bagful of new loot to hoard! Eric of Atrophy wrote: So no merchants or festivals to mark the occasion? I was looking forward to a bagful of new loot to hoard! Enjoy the celeb for moi! And congrats to all for allowing NWN to thrive this way! Thanks for all you have done and continue to do in Aenea. And congratulations on 4 years of operation and 13 HoF Awards! Happy Birthday, Aenea! And many thanks to for offering up the fruits of his labor and creativity for all of us to enjoy. Main Character : I kinda play them all in random bursts. Congrats, , and thanks for this great world. It's a pleasure to play in, and to assist other players! Woohoo! It's after 12:00 am in my timezone (EST, baby! ), so let me put a big Happy Birthday/Anniversary out there for everyone's favorite PW! Here's to 4 years, Aenea! Can't wait to see the next 4! 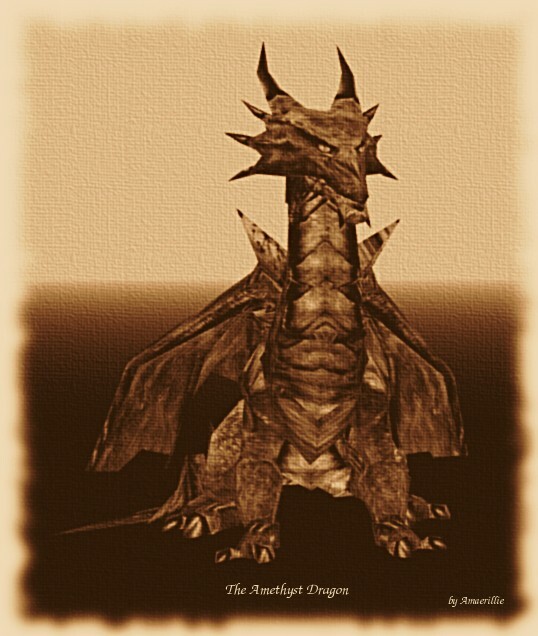 And of course, a hugantic ginormous thank you to the exalted Dragon - thanks for letting us play in your world! Drinks are on me, everyone! Bah! Having problems with both the Vault and my FTP server. I'll get the new hak file uploaded in 6-8 hours, folks. "Somwun take me drunk... I'm home!" Looks like I missed the birthday celebrations.. but a late huzzah is better then no huzzah at all !!! Also on the occasion of this auspicious event, Amaerillie would like to present the august purple dragon with this mystical rendering. I missed it by being away at Ragnarok, attacking an actual castle. I think I might have gotten the better end of this deal. Maeglin Dubh wrote: I missed it by being away at Ragnarok, attacking an actual castle. And more updated content is on the way, since there will be another new updates hak available in a few days (updating some visual models and adding new ones so that areas of the Rift will look right). Happy birthday, Aenea. Thank you for all the things you manage to find time to do, even with your busy busy life! Congratulations! How you managed to work on this little hobby of yours for this long I'm amazed. I'm surprised you haven't burnt out and stabbed yourself at this point. Aenea should be written into the history books! Hooray! D'oh! Am I late for a birthday cake? Joking aside, congratulations for anniversary!